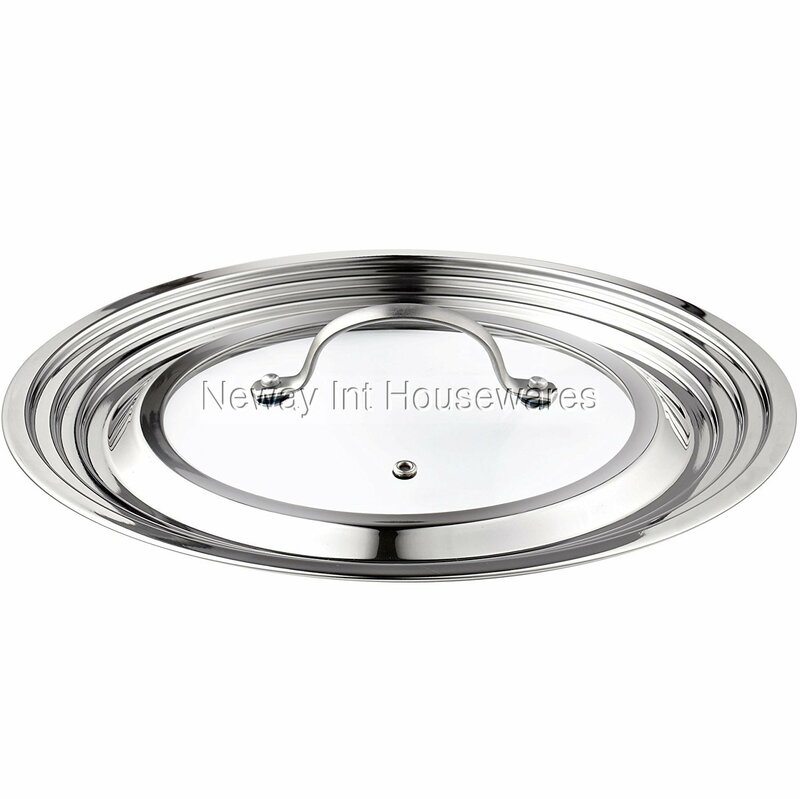 The Cook N Home Stainless Steel Glass Univeral Lid, Fits 8 to 12-Inch is made of 18/10 stainless steel with a tempered glass insert. Fits 8 in./20 cm, 10.25 in./26 cm, 11 in./28 cm, and 12 in./30 cm pans and pots. Tempered glass center with steam hole vent to view cooking. Dome convex center prevents food contact and handle is riveted for strength. Dishwasher safe and oven safe to 350F.